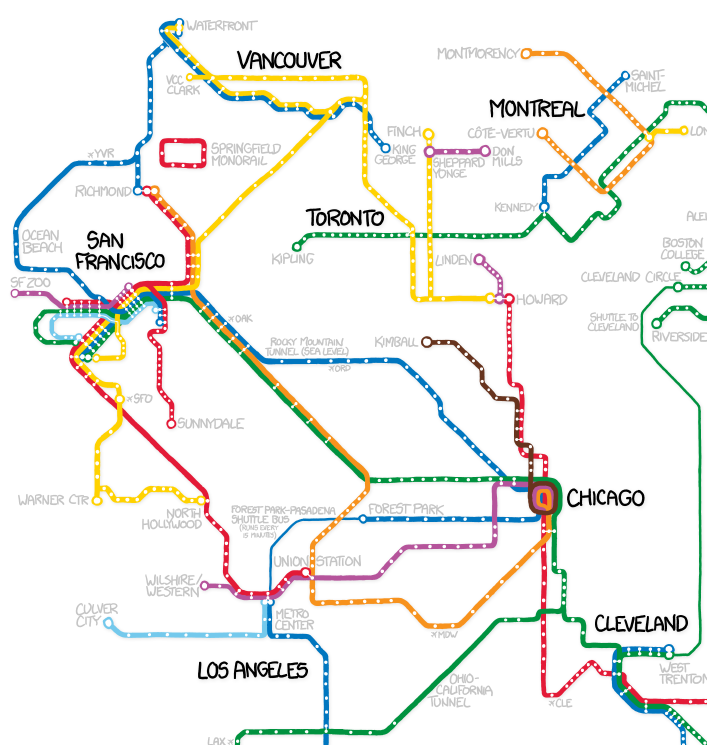 XKCD presents the Subways of North America, otherwise known as TUNNEL BORING MACHINE MADNESS. 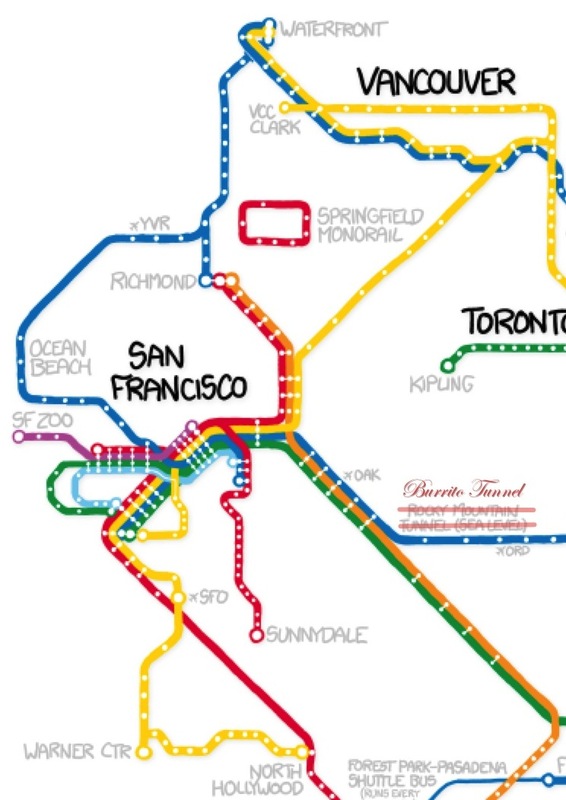 I approve of the new extensions of Muni and BART. This will certainly make it easier to get to Tojo’s and Alegria’s. (Too bad Ben’s is no longer around, though we can now visit Grumman 76.) It also provides us with ready access to Mexico City’s Escondrijo Estratégico de Huarache (Strategic Huarache Supply). While the northern and southern SF extensions are to spec, there are SERIOUS ERRORS in the east-west connection with the fraudulent and inaccurate “Rocky Mountain Tunnel”. Allow me to correct this. Everyone knows that you would actually use the Alameda-Weehawken Burrito Tunnel (which goes right under Chicago). But other than that, excellent work, XKCD! I look forward to your corrected map. My personal favorites are the Springfield Monorail and the Ashmont-Manhattan High Speed Line. I was hoping he’d include the abandoned subway systems of Rochester and Cincinnati, though! Today I learned that another important reason to visit Weehawken: it was the site of the Hamilton-Burr duel!! And here’s a picture of the rock that Hamilton leaned against after he was shot.